James Gunn is determined to stay loyal to his original title for the third 'Guardians of the Galaxy' movie. 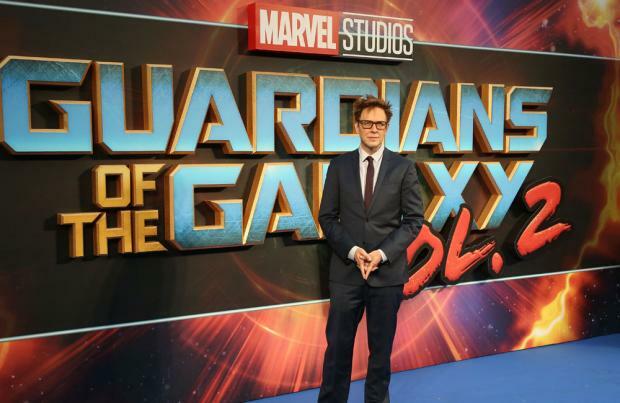 The 51-year-old filmmaker - who has been the driving force behind the success of the money-spinning franchise - has revealed his intention is to stick with the title of 'Guardians of the Galaxy Vol. 3', despite numerous fans suggesting 'Guardians of the Galaxy.mp3' as an alternative. Responding to the suggestion on Twitter, James wrote: "I hear this suggestion a lot, from many different people. But, no, the three films are a set and I'm going to stay consistent with Vol. 3. (sic)"
Earlier this year, Mark Hamill spoke to James on Twitter about making an appearance in the third 'Guardians of the Galaxy' movie. The legendary actor - who is best known for starring as Jedi Master Luke Skywalker in the hit sci-fi franchise 'Star Wars' - took to the micro-blogging site to offer his services to the director, who helmed the two previous Marvel movies. The situation developed after a Twitter user wrote: "@JamesGunn, could you do me a huge favour and find a role for @HamillHimself in Guardians 3? The awesomeness of it might end me, but I'm willing to risk it. Thanks (sic)"
James replied by saying the 'Star Wars' legend can "come over" to his house in Malibu to talk about a role. He responded: "I think @HamillHimself lives around the corner from me in Malibu so he can just come over and we can talk about it over a cup of coffee. (sic)"
And Mark, 66 - whose 'Star Wars' character died in the eighth instalment of the franchise - joked he was happy to meet with the filmmaker as he is now an "unemployed actor". He wrote: "I would be happy to do so, both as a good neighbor & an unemployed actor. All the best, mh ... DM me for my contact info if you're serious. (& a good neighbor) xoxo, mh (sic)"